Wade Baker and his wife and partner Mary Tasi founded Sky Spirit Studio in 1995, the year of their daughter’s birth. Wade is a sculptor, graphic designer and red cedar carver. He has been carving and creating art since he was a teenager. As a descendent of ancient Coast Salish, Kwakiutl, Tlingit and Haida nobility, Wade has inherited a rich artistic legacy. In these traditions, art is not a separate activity, but is interwoven in life, language, custom and culture. Art is a means of spiritual expression in which a design or piece of art can encompass an entire story. Wade’s preference is to create large public art sculptures. He has worked in steel, wood, glass, marble and many other mediums. His stainless steel North Star was commissioned for the 2010 Olympics and stands at the Vancouver Olympic Village site. One of the highlights for Wade was meeting Prince Charles when the North Star was unveiled in 2009. Wade has also produced smaller public art designs and in 2000, Wade’s wolf design was selected to be part of the millennium series of Royal Canadian Mint quarters. 50 million quarters were produced with Wade’s design and are now in circulation. 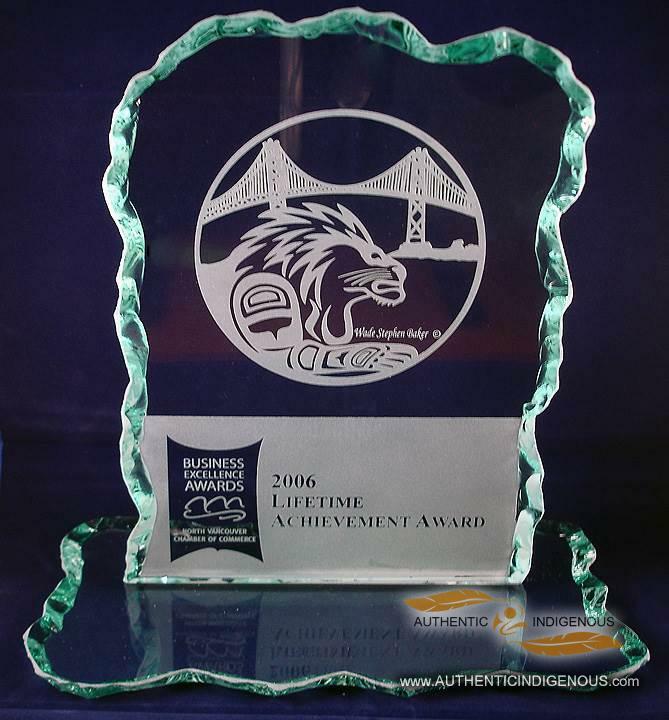 Wade is a member of the North Vancouver Chamber of Commerce, and a Director at Large for Aboriginal Tourism British Columbia. Mary is an art consultant, urban designer and writer. She worked for many years in Ontario and Quebec as an urban planner and designer. She is a member of the Canadian Institute of Planners, the Planning Institute of British Columbia and the North Vancouver Chamber of Commerce. Mary’s philosophy is that art brings community together to develop new ideas. A highlight was working with the City of North Vancouver and the Squamish Nation to create the “Gateway to Ancient Wisdom” for the beginning of the North Shore Spirit Trail. This public art piece brought together elders, youth, landscape architects, builders, contractors, steel workers, welders, politicians, and many others in an innovative, award winning collaborative process. Mary’s strengths are city planning, art project marketing, communications and policy. She uses innovative public engagement techniques and visioning that produces meaningful solutions to complex community issues. She has the ability to manage and communicate divergent ideas and conflicting visions or goals. She has marketing experience with over 100 galleries in British Columbia, Alberta, Manitoba and Ontario.